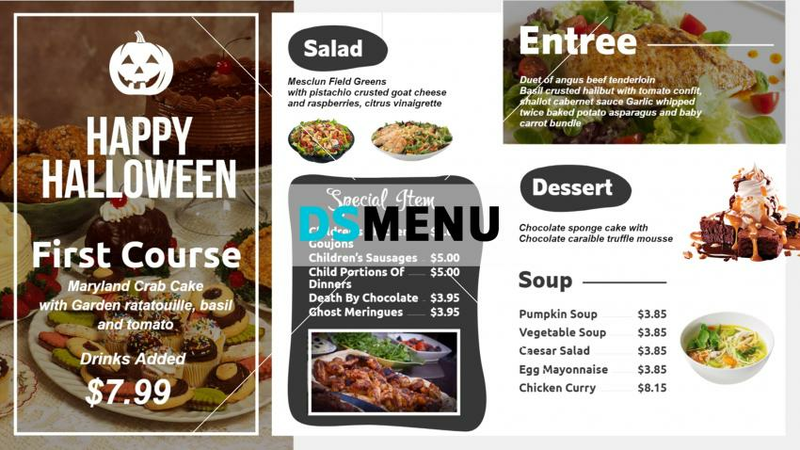 This Halloween menu has a very sleek and sophisticated setting. The white background color along with the rectangular brown color shades add to the elegance. On a digital menu board this template will be a steal ! It will certainly attract customers and the restaurateur can expect an upmarket audience.